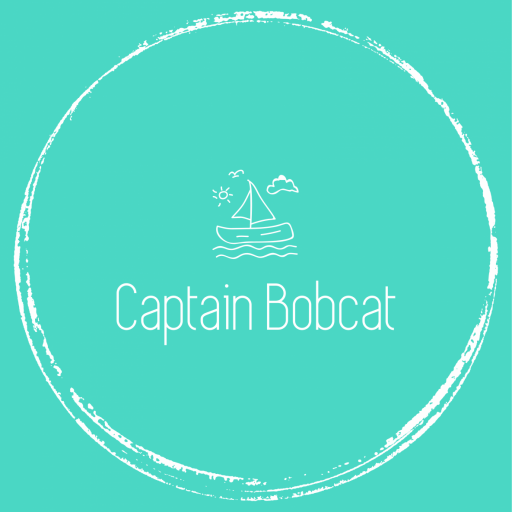 Valentine’s Day is fast approaching and I don’t know about you, but we normally don’t celebrate the occasion by going out or buying anything special for each other. A box of chocolate, a nice dinner at home and some wine has been our Valentine’s Day treat for years. I (or my husband) normally cook something fancy we don’t have every day and it’s a real treat for both is us, like French onion soup. Then grab some wine a box of nice chocolate and settle down on the couch to watch a good film after the children’s gone to bed. It is actually my idea of a perfect Valentine’s Day. This year, I decided to make some Valentine’s cocktails: something ruby red of course with the kick to it. Lucky me, I just discovered that Pago Fruit Juice is available in the UK too. 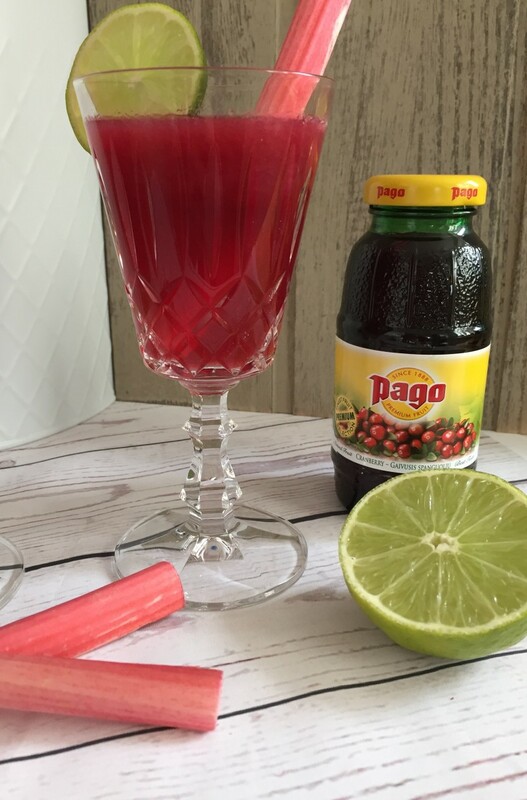 I was already familiar with them as I used to work for hotels and the European hotels often choose Pago as their minibar juice. 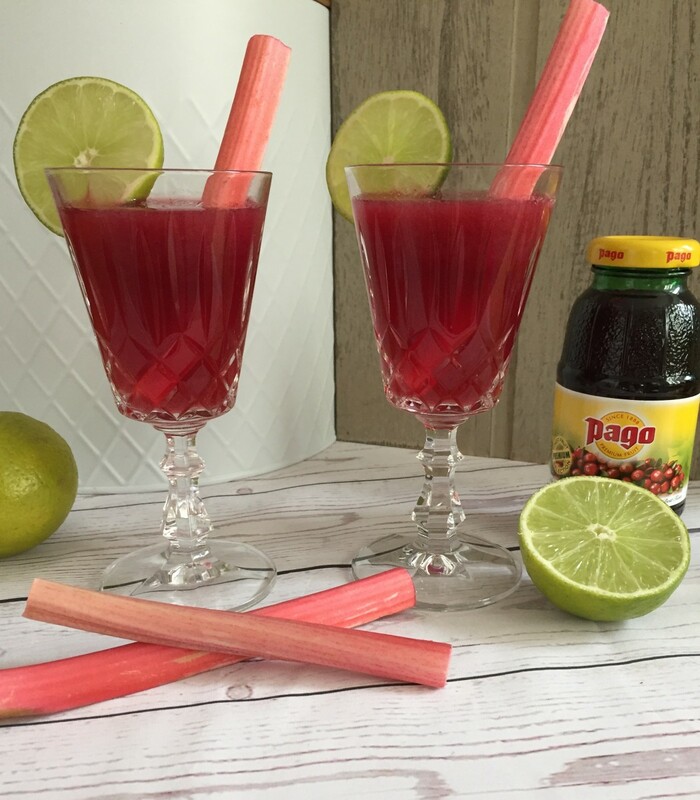 Pago fruit juices are superb quality and they made only using natural ingredients. The green bottle is easily recyclable and the colour of the bottles protects the juice from heat exposure. 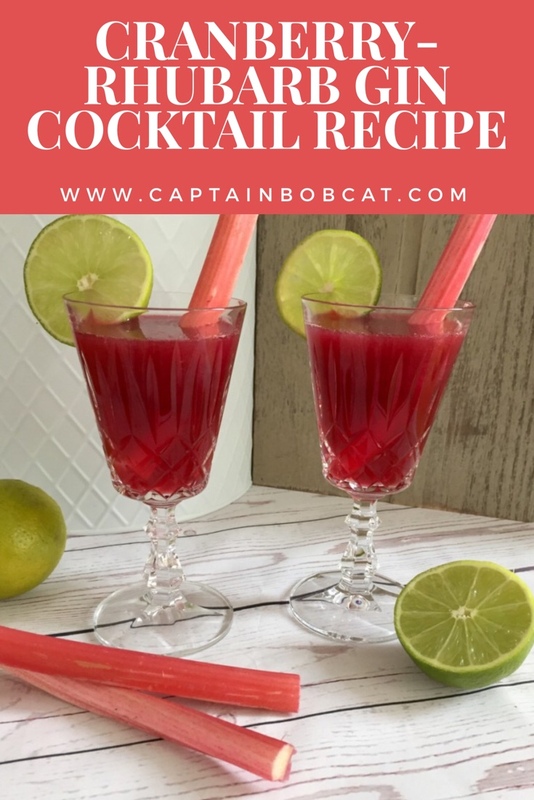 So, given that this is a Valentine’s Day cocktail (but you can make a mocktail version of this too!) I opted for the cranberry juice which I love anyway. To balance that out I used gin, tonic and added a little home made rhubarb purée for an extra twist. This cocktail is not too sweet, rather tangy with a hint of bitterness – just like a gin cocktail should be! You’ll find the recipe below in a printable version. 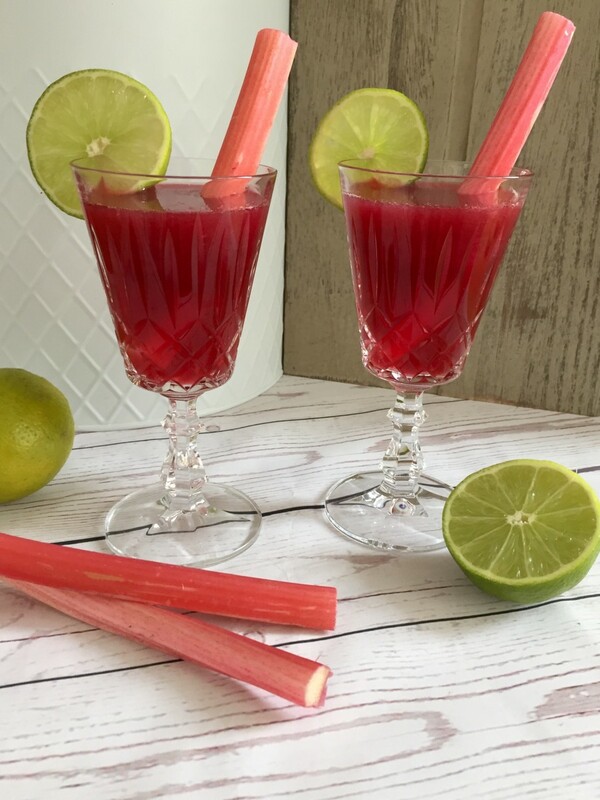 A yummy twist to the classic long drink, not too sweet, a bit tangy and perfect for dinner parties - or even Valentine's Day! With home made rhubarb purée. This could of course work as an alcohol free mocktail - just don't add the gin! Place the rhubarb, the sugar and about 100 ml water in a pan and over low-medium heat simmer it gently. It takes a little time only to see the the rhubarb pieces making a puree - 20-25 minutes only. Mix the cranberry juice, the gin and the tonic water in a jug. Fill every glass. I received this product in exchange for my honest and unbiased review. #thesatsesh shhhhhh its pink, its gin and surely its one of my 5 a day…Im in!!! Not sure I can wait until V day? Did you find any particular gin worked better? Oh, that looks nice. Might give that a try. Oh this sounds delicious! I love rhubarb especially! I’ve never heard of Pago – will have to keep an eye out for them!